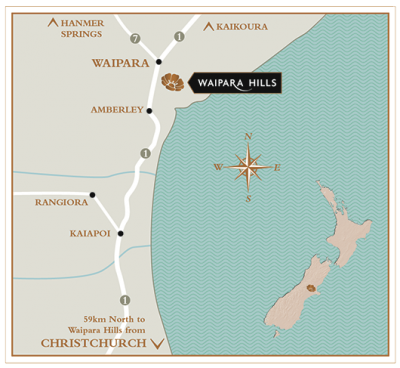 The Waipara Valley is cradled in the lee of the Teviotdale hills, which provide protection from the cool ocean winds but open to warm Nor' Wester winds. The north facing, moderately sloping river terraces provide an ideal suntrap for grape ripening. Abundant sunshine throughout the summer, combined with a long, dry and cool autumn helps produce unique concentrated Rieslings and Pinot Gris, our regional specialties. The Waipara Valley season is particularly long with bud burst starting in September and harvest sometimes lasting until mid May. 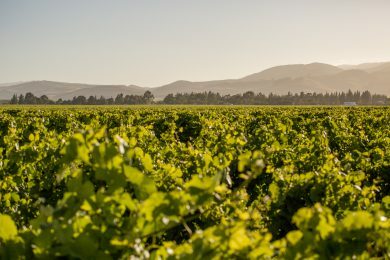 Waipara receives 600mm of rainfall a year and on average seven hours of sunshine. Swiss born Jean-Luc has a family history of four generations of grape growing in Europe. Beginning in his home country he has also worked in vineyards in Europe and USA before immigrating to New Zealand. He has been a viticulturist for more than 34 years, and been with us since 1994. Jean Luc planted the Home Block vineyard which we harvest from today; it’s one of the oldest Pinot Gris blocks in New Zealand and uniquely is all on its own rootstock. His grandfather was fond of saying 'Better a good wind than a spray' and it’s a philosophy that Jean-Luc lives by, 'well apart from Powdery Mildew' he smiles wryly. Over the years his interest in natural methods of pest and disease management and bio-diversity has grown. He has worked with Lincoln University to identify which New Zealand native plants can bring diversity and nature's services to help with this in the vineyard. Sheep have also been a common sight in our vineyards as an integral part of the seasonal ground and canopy management, and we have to say the sheep and the vineyards always look in very good shape too. A fond tramper, Jean-Luc is often sharing stunning photos of his journeys. 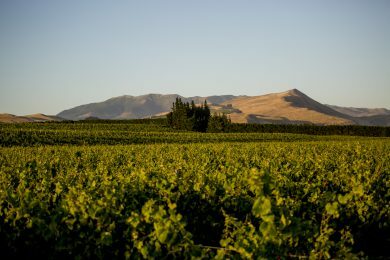 While he is from foreign lands, he loves the Waipara region, with plenty of uncluttered space; at times it offers a harsh climate of frosty mornings, inescapable winds and heat. Yet for Jean-Luc, there is one resounding factor that keeps his feet planted firmly in these soils. “There is a love of ‘your place’, and for those who live here.” Jean Luc is a pillar of our Waipara Valley viticulture team, with many in his team having worked with him for over 10 years. His knowledge of the area is invaluable and his patience and quiet dedication is something we treasure. Ben has been Jean-Luc's right hand man since 2000- so to say they know each other well is a bit of an understatement. With a twinkle in his eye and pure sincerity on his face, Ben claims that the reason he turns up every day is because of ‘that guy right there,’ pointing to Jean-Luc and the mission and passion we share to be part of a team that produces quality wine grapes. 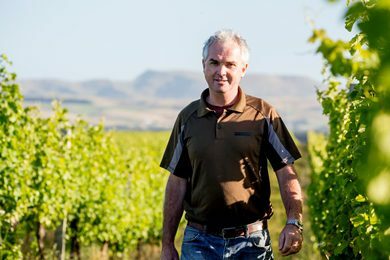 Originally hailing from Marlborough, Ben has thrived in North Canterbury and has called the Waipara Valley home for the last 20 odd years. He loves it, and reckons it’s one of the most challenging, but satisfying places to grow grapes. The Nor’west wind, both a friend and a foe, is forefront to his mind. It is a key environmental tool aiding with disease prevention he said, but when raging for days on end can test the mettle of any person. A proud family man, Ben also loves free diving for local kaimoana (seafood) and it’s the sense of family among the Waipara Hills team that puts a smile on Ben's face as he drives up to The Home Block vineyard every morning. 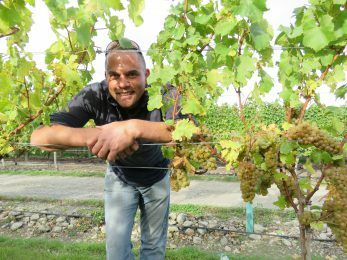 ‘It’s the diversity, the land, and especially the people, our region is genuinely beautiful.’ He is part of a very dedicated team who between them have a combined total of over 100 years of service to Waipara Hills, Jean Luc and Ben make up 45 of that. Ben’s loyalty, work ethic and way with people is a big part of what makes this team so very special. 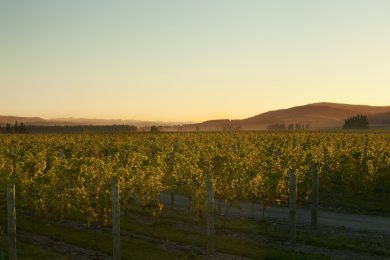 The Mound vineyard is located on terraces along the Waipara River and is a geographical reference to a mound within the vineyard. The most recent vines planted at The Mound were the Austrian grape varietal Grüner Veltliner in 2013. Waipara’s long autumn ripening conditions and gravelly soils add mineral characters and complexity to our aromatic varietals. It is also the home of our 'G Block' Riesling, an area identified early on by our team as a very special area in the vineyard for producing outstanding grapes year on year. First planted in 2002. Varietals include 72% Riesling, 17% Sauvignon Blanc, 6% Pinot Noir, 3% Grüner Veltliner, 1.5% Gewürztraminer, 0.5% Muscat. 85 hectares. Sustainable accreditation WP570. The Deans vineyard terraces overlook the river bed with stunning views of the three Deans range, Waipara Valley’s landmark hills. The site was chosen for its free draining soil, and gravely loams over alluvial subsoil. First planted in 2001. Varietals include 50% Riesling, 30% Pinot Noir, 15% Pinot Gris, 5% Sauvignon Blanc. 76 hectares. Sustainable accreditation WP901. The Home Block's gravelly soils and minerality enhance the rich and spicy characters of our aromatic wines. We are one of the first producers to plant the Pinot Gris Lincoln-Berry Smith clone which we believe produces higher quality Pinot Gris., therefore we have some of the oldest vines planted in this clone in New Zealand. These vines are also on their own rootstock. This vineyard was planted by our viticulturist Jean-Luc Dufour,who sourced the cuttings in 1995. Also planted on their own roots in 1994-1995 is the Pinot Noir and Chardonnay in this block, located right behind the winery. First planted in 1994. Varietals include 40% Pinot Gris, 27% Chardonnay, 21% Sauvignon Blanc, 12% Pinot Noir. 49 hectares. Sustainable accreditation WP1006.